Former UN Secretary General Boutros-Ghali said of the Rwandan genocide of 1994 that it was 100 percent the responsibility of the Americans. 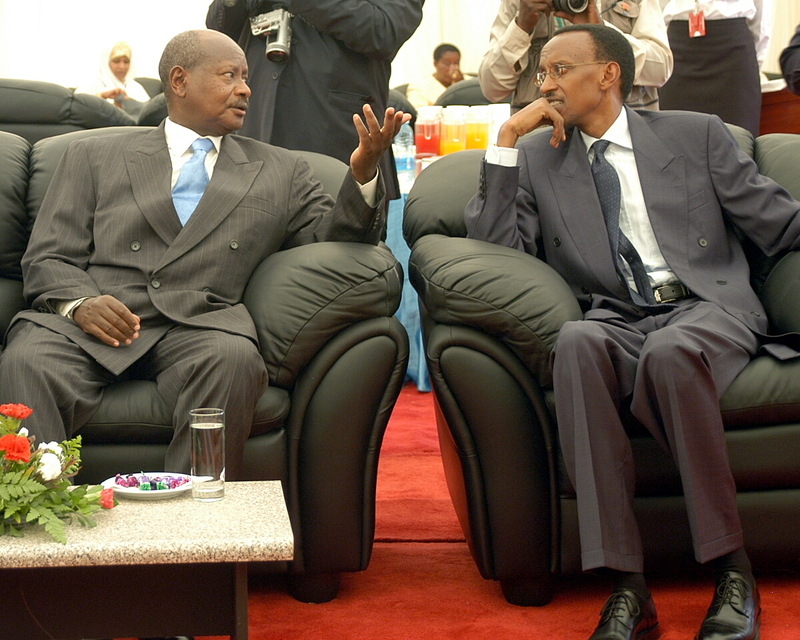 Many agree that president Paul Kagame and the like of president Joweri Museveni were only actors in a puzzle that had been put together by the big powers who were interested in occupying the Great Lakes region. As January 2nd 2015 deadline looms closer, US Envoy for the Great Lakes region, Ambassador Russ Feingold, is once again dictating how Africans should die so American interests could be preserved. Reuters report that “Any delay in military operations by the DRC (Congo) military and MONUSCO (peacekeepers) after Jan. 2 will play into the FDLR’s hands and only serve to enable the group to commit human rights abuses,” Feingold said. While the US Envoy calls for military action against FDLR, everyone knows that almost 8 millions of Rwandans (all ethnicities included) and Congolese (including hundreds of thousands of raped women) have perished for the sake of US, UK, Canadian, Israeli and other global multinationals getting mineral resources exploited in the midst of chaos and humanitarian tragedies. Russ Feingold, instead of pointing at the real roots cause of human rights abuses in the region, namely Kagame’s Rwanda and Museveni’s Uganda, is showing FDLR as the scapegoat to bear the full weight of the blame. Understandably, since these two countries are the strongholds of US presence in the region, they have to be protected at all cost. There is no doubt that American role in the onslaughts of Africans in the region that have been going on for more than two decades now is high, given that US is almost the only one setting the trend of events in the region through different national and international mechanisms: foreign policy, UN, ICTR, ICC, and etc. In February 2013, the Addis Ababa Peace Security and Development Framework for DRC was signed and set the scene for what was seen at the time as the right formula to bring peace and development in the entire region. Many however complained that the Framework put DRC under UN mandate, thus taking away the country’s sovereignty to decide on matters of national interest. Resolution 2098 (2013) of the UNSC was adopted to enable offensive combat force to neutralize and disarm Congolese rebels and foreign armed groups operating especially in Eastern Congo. Strongly supported by South Africa, Tanzania and Malawi soldiers, the international brigade for intervention defeated M23. In order to add to the spirit of the Addis Ababa Framework, the Tanzanian government which has all these years, experienced the full impact of many regional conflicts saw as appropriate, through its president Jakawa Kikwete, to suggest a political solution by inviting Rwanda and FDLR to have dialogue. President Paul Kagame who appears since to never sit with FDLR unless forced, has so far opposed such initiative. US, UK and others benefiting from the status quo are still relatively behind Paul Kagame, despite some telling signs of a declining trend in their support for the dictator of Kigali. That Russ Feingold publicly announced that he strongly expected the international brigade for intervention to come after FDLR after January 2nd, that means that US is not yet ready to dump its regional ally. The question that remains is this: for how long will Africans be dictated how they should live and or die? Has not the time come for them to really think through what types of lives or deaths they would want to experience in their earthy journeys? Unless they aspire to eternally be mentally enslaved to their old masters. But in order to engage on that path, they need to change their ways and even try to emulate some of their enemies’ tactics, like being focused and working 24/7 on their choices.